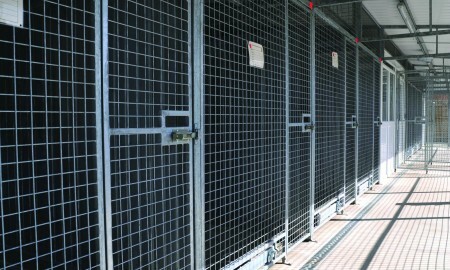 In addition to the 24 kennels installed at St George Barracks during 2008, an additional 40 kennels were required as part of a large project to the MOD. 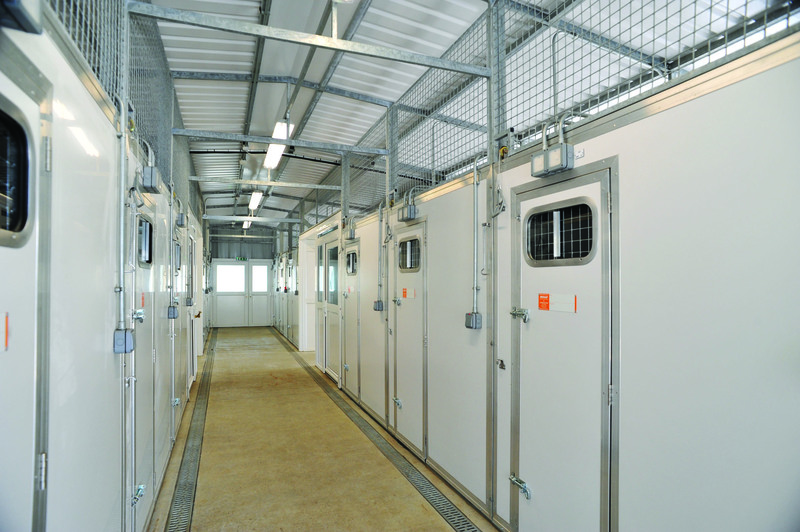 Broxap supplied and installed 40 kennels in barrack block layouts of 26 and 14 using Broxap Cosy Kennel modular design. 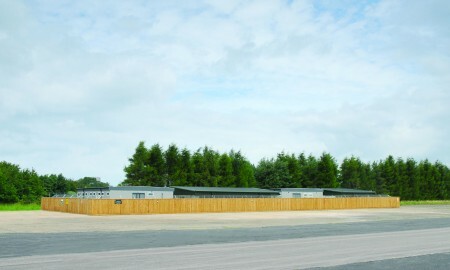 Kennel blocks included ancillary rooms for food preparation, food store, changing rooms and kitchen. 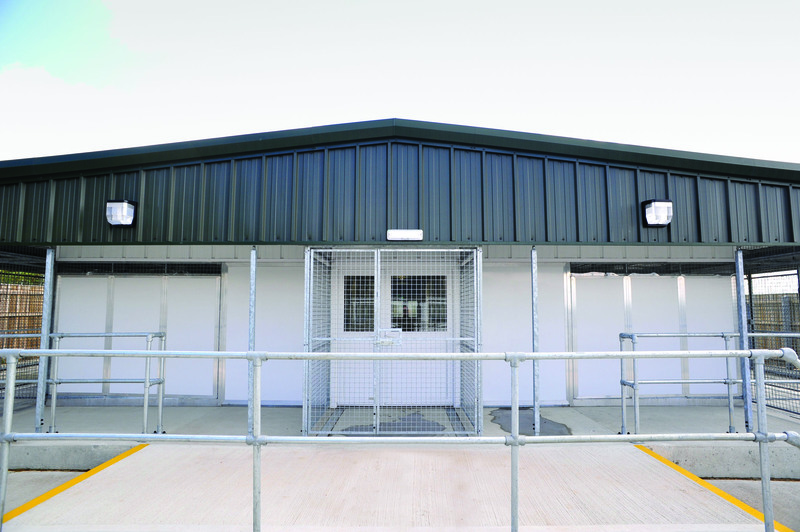 A double skin insulated roofing system was incorporated into kennel build to reduce noise levels, roofs cantilevered at end to form a covered tethering area for dogs and handlers. 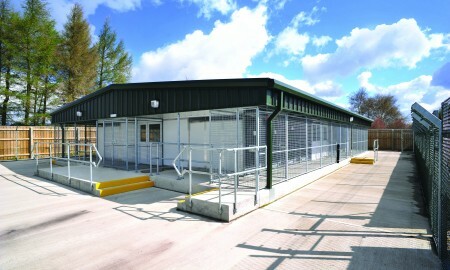 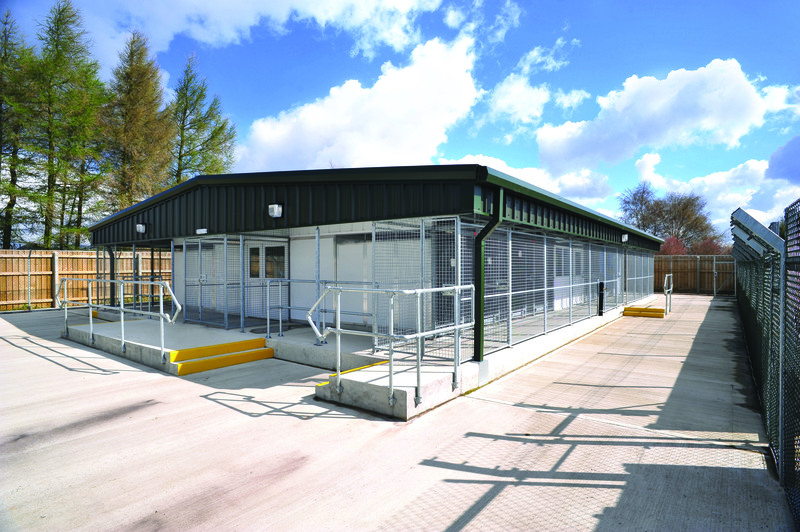 Broxap completed the contract on time, to budget, bringing each phase of kennels into action to the desired timescale. 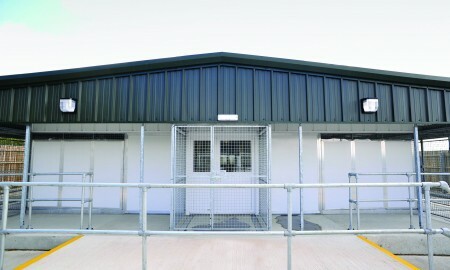 The kennels were installed onto new concrete foundations already prepared to Broxap detailed specifications and through good site management, regular site visits by Broxap Contract Managers and consistent liaison with client and MOD end user, Broxap ensured that the project completely satisfied the client and end user. 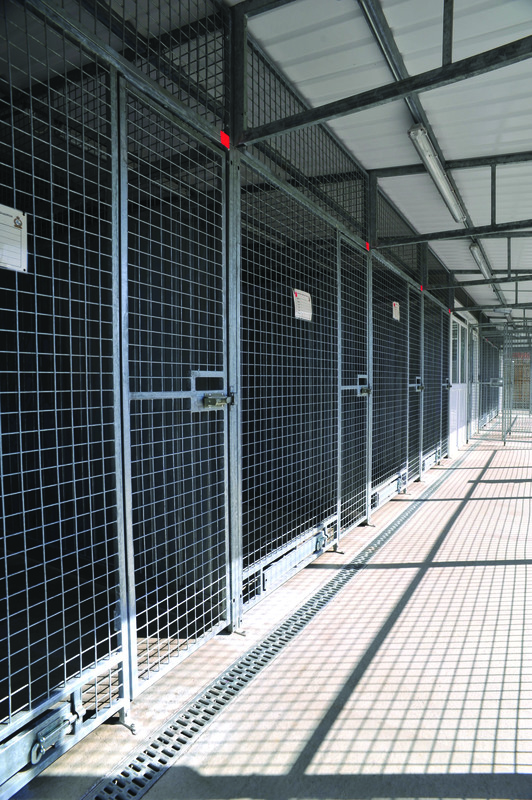 The Broxap Cosy Kennel System conforms to JSP 315 scale 14, and utilises hot dip galvanized steel and UPVC panels, to provide a uniform, long lasting and hardwearing structure. 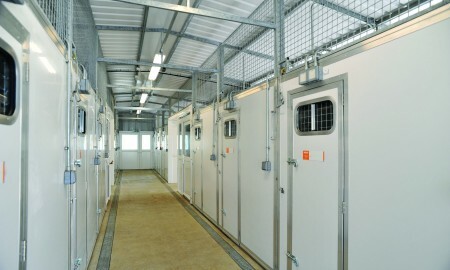 Additional features such as rotating feeder bowls, UPVC face panels to sleeping units, sliding hatches together with internal mesh security gates and doors, ensures safe and controlled access to all areas of kennels so that caring for the animals and cleaning of facilities is significantly improved and efficient.